Get the word out with this bright full-color vinyl banner. 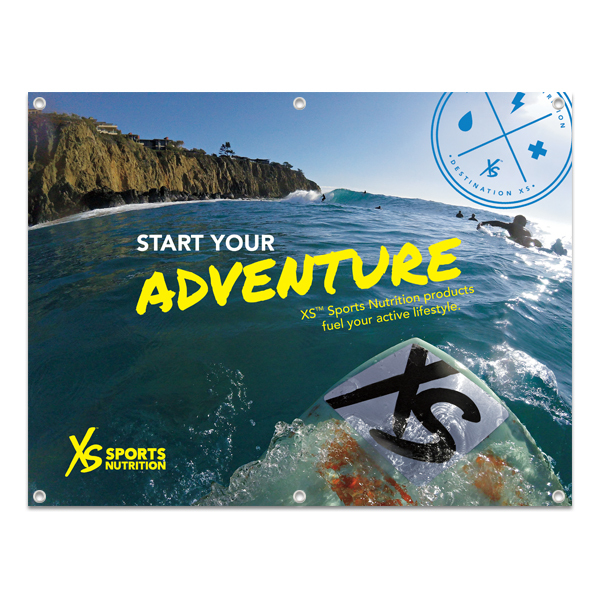 The smaller 3' x 4' banner is perfect for those marketing situations where size matters. Remember, if the space is limited, a smaller banner is much more effective! Edges are double-sewn with 4 grommets on top and bottom. Due to the size, banner may be shipped separately and arrive on a different date than the rest of your order.